June 8, 2016 - Austin, TX Ulrich Ellison and Tribe return to Austin from a two-month long successful European club tour. On Friday, June 24 at Threadgill's, the band will perform a homecoming show and release their tour recording Live in Switzerland. 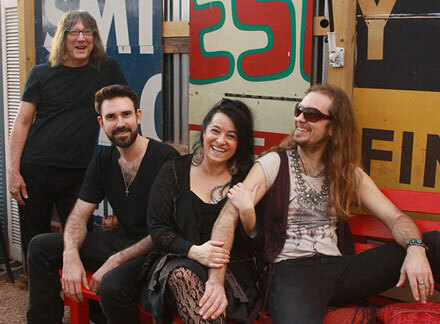 Backed up by his phenomenal band “The Tribe”, Ulrich Ellison’s album Rise Up From The Ashes is getting international praise for its blues-infused songwriting, melodic pop appeal and guitar prowess. Winner of this year's Austin Music Award for "Best Guitar" and "Best Soul/Funk/Blues Band" the band is currently on a two-month long EU club tour and will be celebrating their return to Austin twofold: releasing a live compilation Live in Switzerland 2016 and performing a homecoming show on Friday, June 24 at Threadgill's Beergarden. The album will be available as a digital download at ulrichellison.com. Show tickets can be purchased at holdmyticket.com/event/245757. This will be the band's last big Austin show before the summer, as they will be taking some well-deserved time off in July and August. Guitarist Jake Andrews who is currently working on his next album after successfully completing a $15,000 Kickstarter campaign will be opening the night. 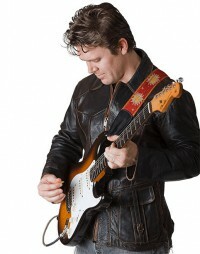 Born and raised in Austin, Texas, Andrews began playing guitar at age 5. Since the age of 8 he has been trading licks with and opening for such masters as Albert King, B.B. King, Albert Collins, Buddy Guy, Otis Rush, and Jimmie Vaughan. In 1999, he released his debut album 'Time to Burn” with producer John Porter. Billboard Magazine stated, "Time to Burn's mix of guitar pyrotechnics, fiery vocals and powerful new songs confirms that Jake Andrews is already blazing new paths with the torch he's been passed." The first title single scored a Top Ten Rock Radio hit. Andrews has released two follow-up albums, been a featured guest on numerous records and toured nationally and internationally. Video: Ulrich Ellison and Tribe "Change of One Man"